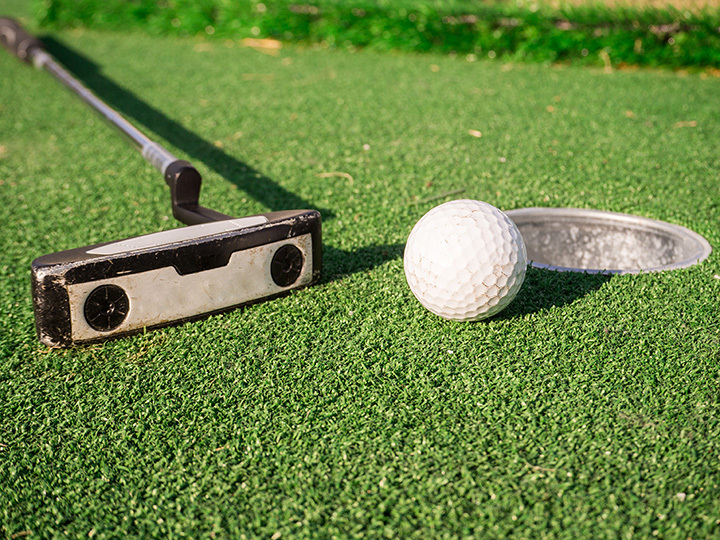 The 10 Best Mini Golf Courses in Nebraska! Miniature golf is one of the best ways to pass the time and beat the heat during the summer months in Nebraska. There are a number of outdoor, as well as indoor, mini golf courses throughout the state that are perfect for family outings or fun date nights. If you’re up for a little friendly competition, make your way to one of these 10 best mini golf courses in Nebraska. Putting Plus in Omaha features three different 18-hole courses, making it the perfect place for some outdoor family fun. Open fairly late into the evenings, you can enjoy a few games with friends along with plenty of snacks and drinks. Putting Plus is also nicely shaded, making a round of mini golf on even the hottest summer days a pleasant experience. Don’t let the name fool you. Super Bowl Family Fun Center in Grand Island also features go karts and mini golf for children and adults of all ages to enjoy. Whether you’re a pro mini golfer or just hitting the course for the first time, there’s plenty of fun to be had at Super Bowl Family Fun Center. Enjoy an 18 hole “mini town” course at Champion Fun Center in Lincoln. Featuring nice putting surfaces and water attractions, mini golf lovers can putt their way through a replica of the Linoma Lighthouse, past the Harpman Building, over a bridge, and finish at a churning water mill. For a fun twist on mini golf, make your way to the Family Fun Center XL in Omaha for a round of soccer mini golf. This new attraction is a crazy mashup between mini golf and soccer. Make your way through the course’s obstacles by kicking a mini soccer ball with your foot and counting up your total shots. Enjoy the summer days with a round of mini golf at Beatrice Mini Golf. This fun outdoor course also features a Hawaiian shaved ice and cotton candy stand to enjoy when it gets extremely hot out there. Various obstacles and a unique design provides hours of challenging and fun play. As one of the few indoor mini golf courses in Nebraska, the Prehistoric Putt is unlike anything most mini golfers have ever experienced before. Choose from two unique 18 hole courses with wild layouts and obstacles such as volcanoes, plinko, warped walls, and more. Both courses are designed with tropical themes and feature more than 20 realistic dinosaurs! If you have children then the Adventure Golf Center is the place to go. This course is a fantastic place for families to hang out together and enjoy a few rounds of mini golf on some beautifully landscaped 18-hole courses just south of Lincoln. For over 20 years, Papio Fun Park has provided the Papillion area with a variety of entertaining activities, including a mini golf course. From New York to Nebraska, golf your way through the USA on this 18-hole American-themed course. Visit and take selfies with NASA astronauts and Hollywood celebrities throughout the course. With two 18-hole outdoor courses, Boulder Creek Amusement Park in Omaha is another great spot for family nights out, date nights, or even corporate events. Get out and test your mini golf skills, but only if you’re up to the challenge. The Big Apple Fun Center in Kearney features a large indoor blacklight mini golf course with 18 holes. This cosmic twist on the sport features a pirate and jungle theme and plenty of obstacles, making it one of the more challenging courses to beat.